Out of all the unique beauties of Bora Bora such as the cottages above the water, the marvelous sandy beaches, and the mountain Otemanu, one of the most favorite among tourists are the sharks. These exciting water animals capture the attention of everyone coming to the island. 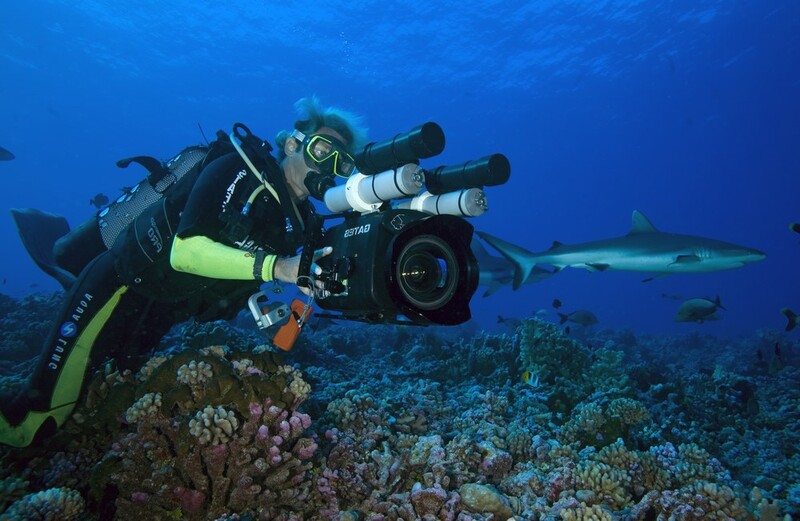 No-one leaves without seeing the sharks in Bora Bora. There’s even a saying that “sharks outnumber the people of French Polynesia”, which explains these animals’ number. Mainly, the sharks in Bora Bora are not dangerous. They live under the green lagoons and are used to the presence of people. The most common type you’ll see is Blacktip reef sharks. They’re not aggressive, so you can easily get close to them. They inhabit the tropical coral reefs and prefer to swim in inshore waters. Having said that, they get familiar with their surroundings and don’t change them for years. Their food is usually fish and other small animals like crustaceans and cephalopods. They’re also known for hunting sea snakes and sea birds. The most common thing about them is their dorsal fin, which is exposed above the water. That’s how people see them coming. And with their length of 1.6 meters, they’re impossible to miss. 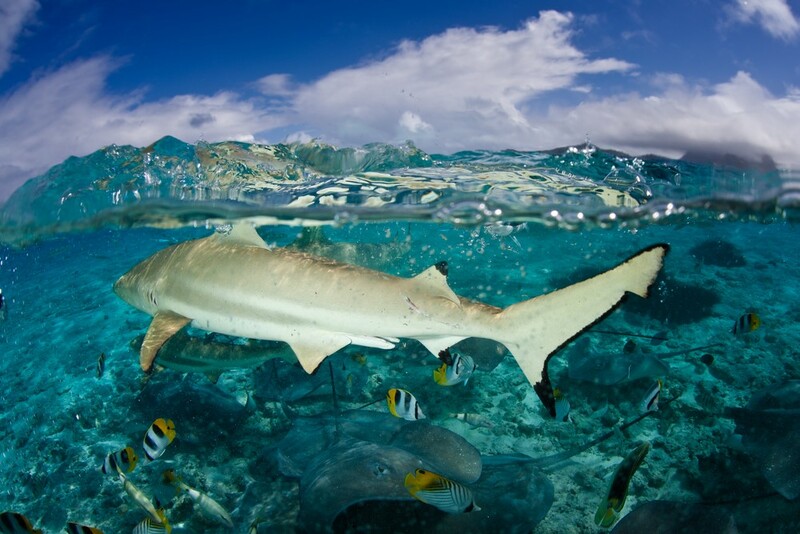 Besides them, the waters of Bora Bora are full of the so-called Lemon sharks. Those are usually seen during the shark feeding tours. That’s understandable, as fish is their main food. If you’re scared of not spotting them in time, don’t be. These sharks can grow up to 3 meters in length and with their color, they’re quite visible among the blueness of the lagoons. But let’s not forget the Whitetip sharks, gray sharks, and hammerhead sharks. They, too, are regular inhabitants of Bora Bora’s waters, making your diving even more unforgettable. To get more inside information on how they all look like, check this site and Traveller’s extensive post. Now, we’ve come to the part where we explore one of the most exciting activities that you must try when coming to this incredible island. It’s, of course, the adventure of feeding the sharks in Bora Bora. Here’s everything you need to know. A feeding excursion – Maybe the best way to get the most out of this exciting activity is to take an excursion. Being with a person with more experience can maximize the fun and you’ll enjoy the swim. Such an excursion is Viator’s which is completely thrilling. That’s mainly because of the fact that you can either board a canoe and watch the spectacle from there or slip into the clear water and watch the guide feed the creatures with their bare hands. What’s more, all snorkeling equipment is on them, so you’ll only need your adventurous spirit. Food for the sharks – In case you’re wondering what food the sharks require during the feeding, you’ve come to the right place. 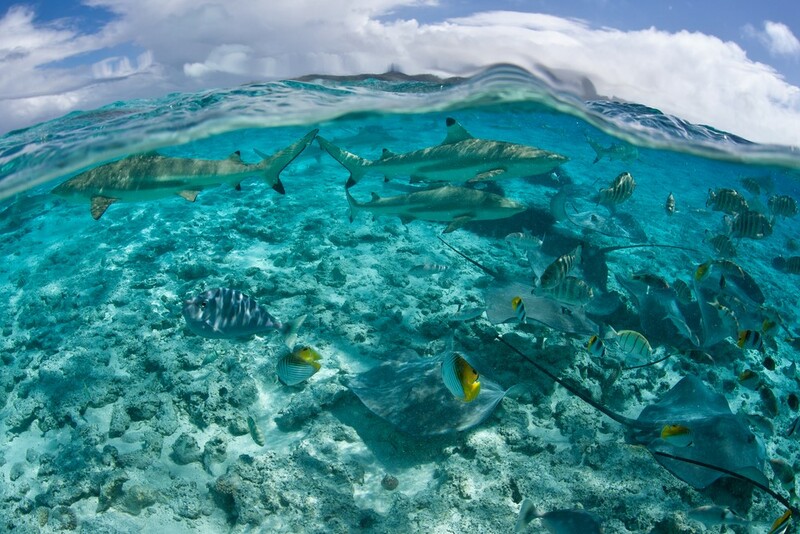 The sharks in Bora Bora feed, mostly, on dead fish. They’re usually smaller than the other shark types in the oceans, so they satisfy their hunger with these animals. Aside from that, they can be fed with clams, mollusks, crabs and lobsters as well as some other tiny sea animals. Tips for the feeding – The most important thing you should be aware of is that sharks can be a little bit aggressive. 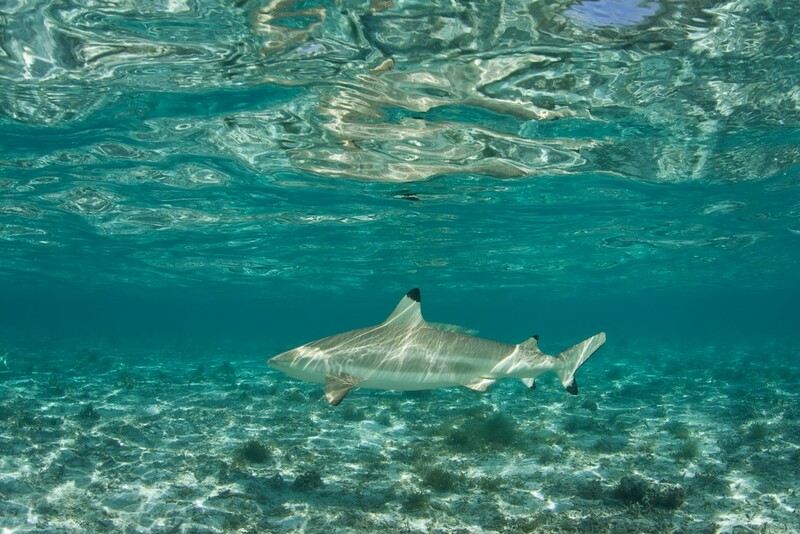 The types of sharks in Bora Bora such as the Blacktip reef and the lemon sharks are used to the presence of humans and act rather friendly. However, be cautious and keep your eyes on them. Having said that, don’t insist on feeding them with your own bare hands. Firstly because it’s forbidden and secondly because of the possible dangers. That’s why leave the expert that will be in the water with you do their job. Just let go and enjoy the experience. And for those too afraid even of the thought of swimming so close to the sharks, it’s best if you remain in the boat and observe the feeding from there. There’s nothing like diving into the green waters and find yourself face to face with these fierce and amazing creatures. That exact feeling makes the diving with sharks a must to do while you spend your best days in Bora Bora. Now, let’s see all the details surrounding this experience. The best time of the year – When it comes to diving in the lagoons joined by the sharks, every day of the year is the best one. Yes. The water around the island is incredibly warm with no more than 29°C in the summer period and 26°C during the winter. That makes your diving more pleasant. Only mind that summers in Bora Bora can be rainy, but that doesn’t affect the water at all. You can bury your head under the water at those times, too, except when there are extreme weather conditions and the rain lasts for days. These companies offer multiple exciting diving packages, so you’ll have a blast knowing that they organize the whole experience for you. 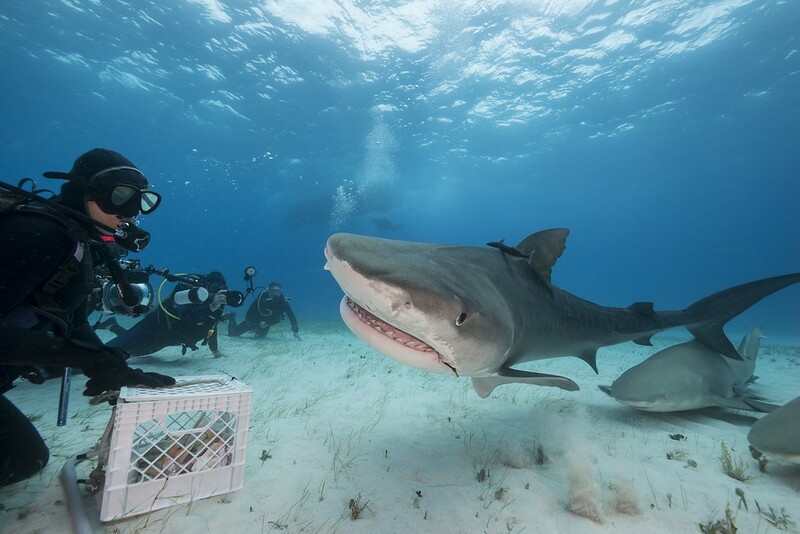 Diving vacations – I know that you’re over-the-moon excited to meet the sharks while diving into the waters of the awesome lagoons. That’s a great reason to take a diving vacation, don’t you think? There are Bora Bora cruise charter companies that can make your vacation unforgettable. 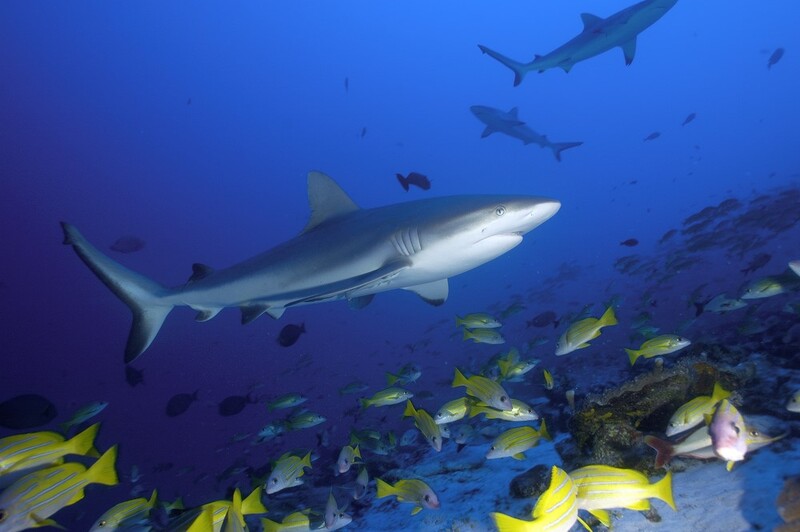 Another choice lies in Paul Gauguin cruises, which can bring you on a diving adventure with all species of sharks all over Tahiti, especially in Bora Bora. Diving sites – As for places where you can hang out with the sharks and see them in a huge number, there are some you can visit. The most popular among them is, of course, the Coral Garden. There you can enjoy the wild underwater life between the colorful corals. Aside from there, you can see sharks Aito, Tapu (the classic shark dive), as well as Toopua. These diving sites are a real wonder and promise a fun and breathtaking encounter with these animals. 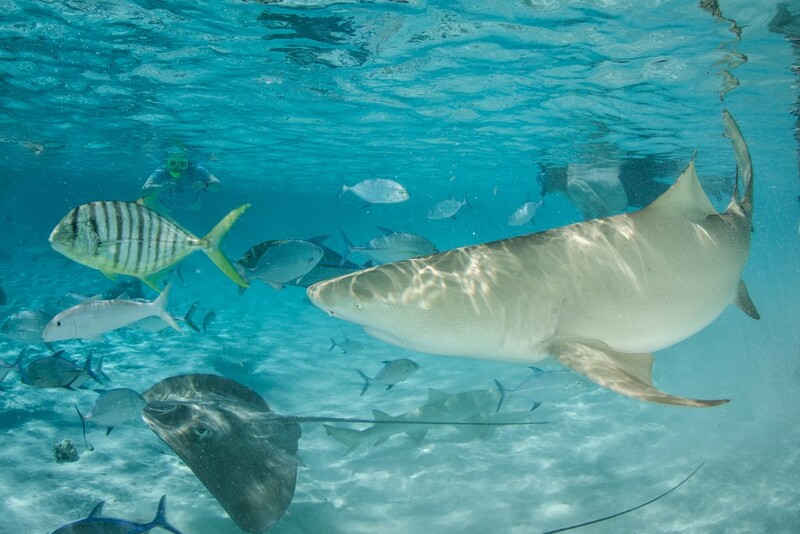 As we saw before, Bora Bora’s lagoon is full of different species of water animals, most commonly sharks. As they are the ones we’re talking about, at this moment we’ll focus more on the experience and the encounter with them. 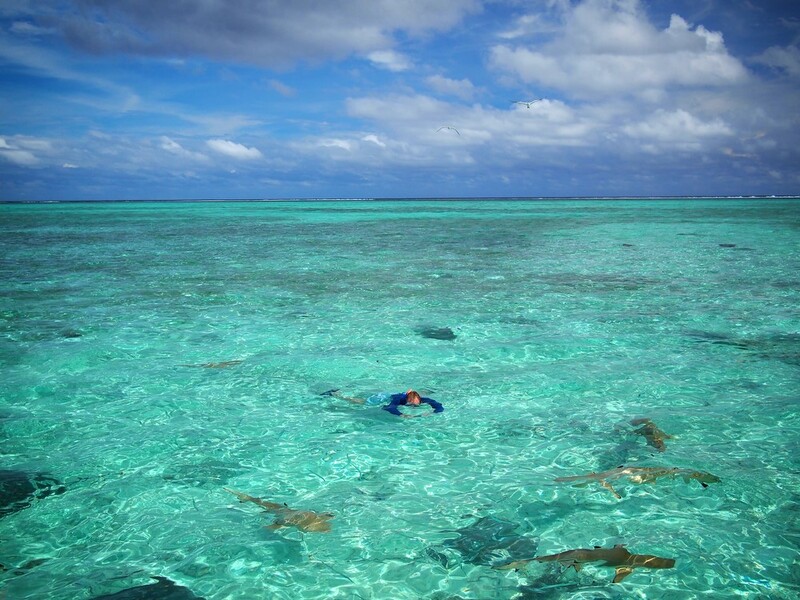 The sharks you’ll see – The first moment you place your head under the blue water and start breathing through your mask, you’ll notice that the lagoons are richer than you could have imagined. From the amazing plethora of fish, stingrays and turtles up to the sharks we’re exploring, you’ll find everything. 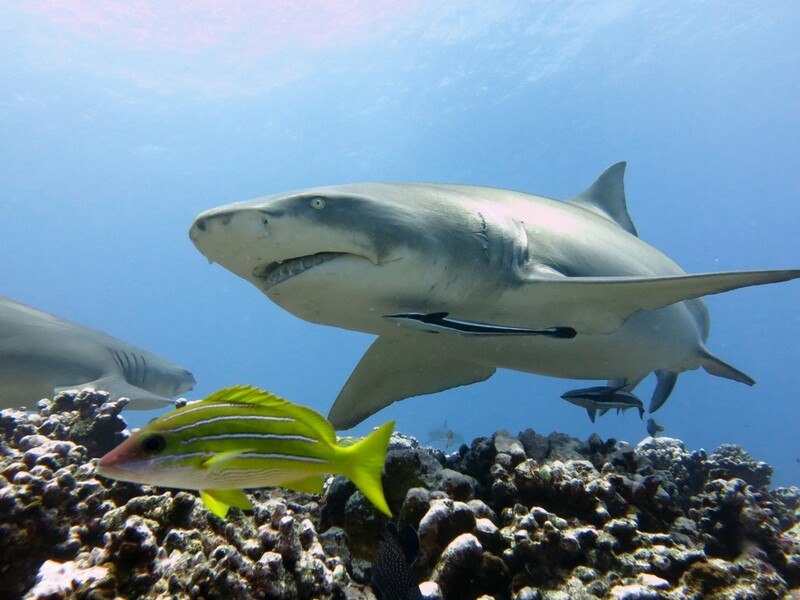 Most importantly, you’ll encounter the Blacktip reef sharks and the Lemon sharks. They’re the so-called owners of the lagoon and an attraction you shouldn’t miss. 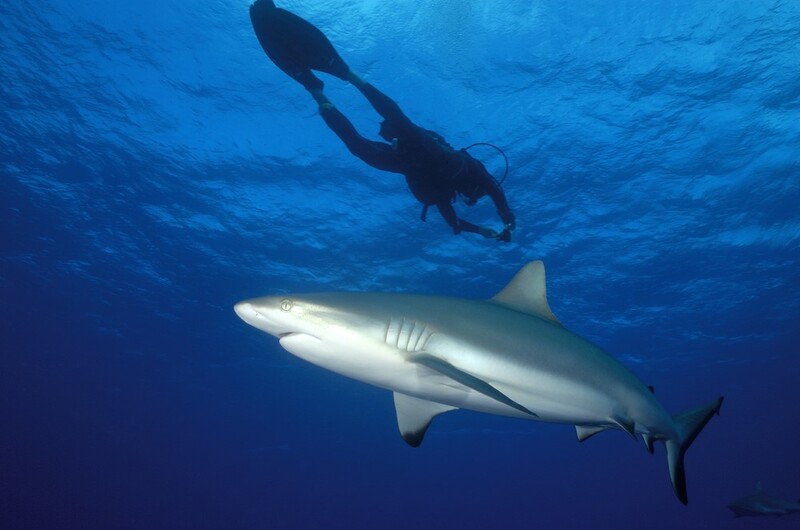 Don’t be afraid to come as near to them as possible, but only with a present guide or expert in sharks. 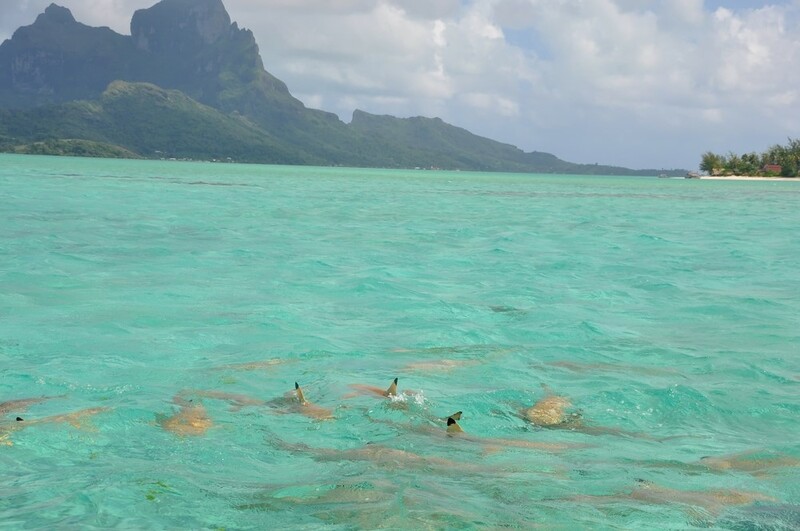 Activities with the sharks – The number of sharks in Bora Bora is astounding. They’re swimming all over the clear water, giving you a chance to enjoy their magnificence through multiple activities. Firstly, you can take a boat to the middle of the lagoon and dive into the waters in search of them. Then there’s the harmless swimming with the sharks, where you can even climb on their backs as well as the unique feeding experience. 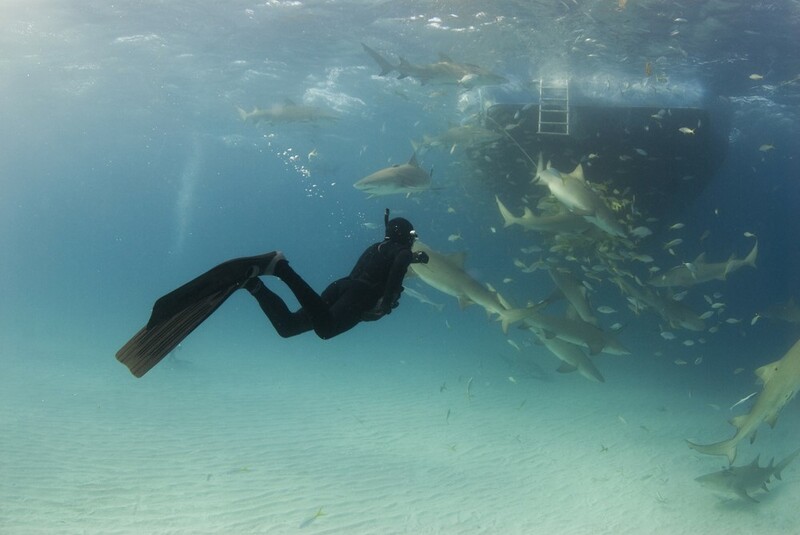 During this time with the sharks, you get to know their nature better and understand their habits. If you’re a huge lover of these animals, then get the most out of these activities. Check out this website for more information. Shark attacks – While we all know that the sharks in Bora Bora are friendly and used to the presence of people near them, sometimes the unexpected happens. Out of the blue, the sharks may go a bit crazy and attempt to bite you. But don’t worry as they’re not man-eaters and cannot wound you fatally. Just be cautious all the time and take care of the way you act around these animals. And don’t even think about going close to them without a guide unless you’re certified. We finally reached the part when we actually get to see which tours you can take to have the best time with the sharks in Bora Bora. There are a bunch of them, so we better get going. 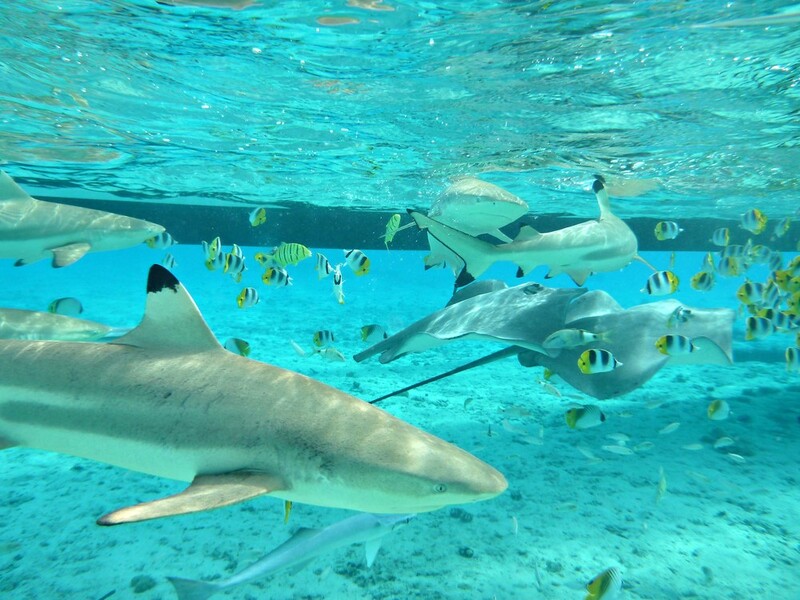 Shark & Ray Snorkel Safari – One of the best tours that allow you to get an idea of the whole underwater life is Tahiti’s snorkel safari. 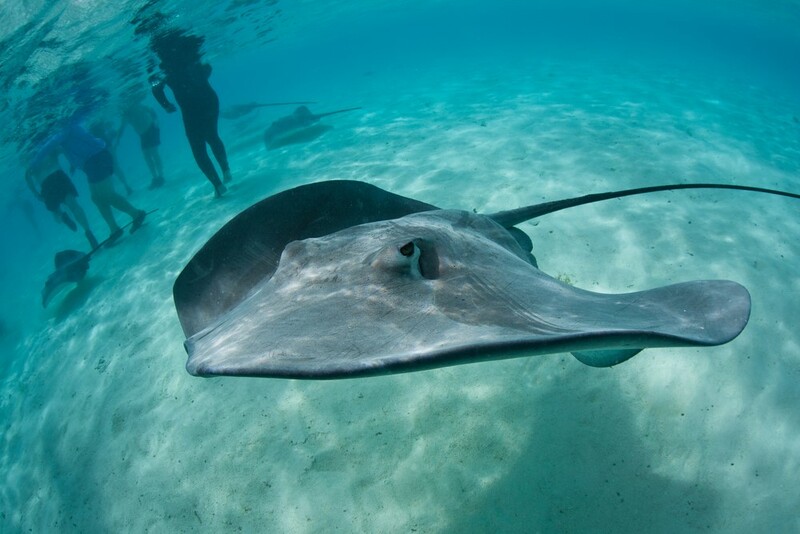 As a part of this tour, you’ll snorkel in the clear waters, spotting the numerous species of sharks and rays. Your guide will also give you the opportunity to see the feeding of the sharks and rays either from the boat or by swimming with them. As the tour lasts around 2 hours and 30 minutes, you’ll surely explore all the things that interest you. Raanui tours – For a huge number of visitors, the Bora Bora experience is complete after going on the Raanui tours. They are available for a full day or half a day and offer a variety of actions connected to the rays and sharks. Starting from the feeding of sharks in the shallow waters, the diving in the coral gardens to the feeding of the rays and visiting one of the amazing beaches on Motu Tapu, you’ll be left speechless. Ocean Snorkeling – Be a part of the underwater world like you’ve never seen it before. With the ocean snorkeling tour, you can explore everything you’ve dreamed of. During the tour, you can choose to dive in 9 different locations both in the lagoon and out of it. That will enable you to see the fierce shark swim close to you and fondle the rays with skin as soft as silk. What’s more your guide will tell you all you need to know about the ocean animals. If you’re a fan of the thrill and enjoy being in the water among the awesome creatures, definitely go on this tour.